A modern open floorplan with plenty of space to play and grow are hallmarks of The Stanford, part of the Signature Portfolios Artisan Collection. 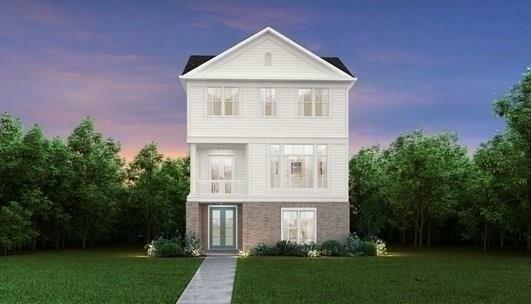 A welcoming covered entry provides the ideal place to greet family and friends and opens easily into the foyer that connects to the finished terrace level complete with a game room and flex room with full bath ideal for a guest suite or home office. Upstairs, the cooks kitchen offers sweeping views of the dining room and gathering room with fireplace surrounded by built-ins. New start.